Aromatherapy is something that interested me a lot and I will be studying it next year as part of my Complementary Healthcare course. This is the reason main I was keen to work with AA Skincare. 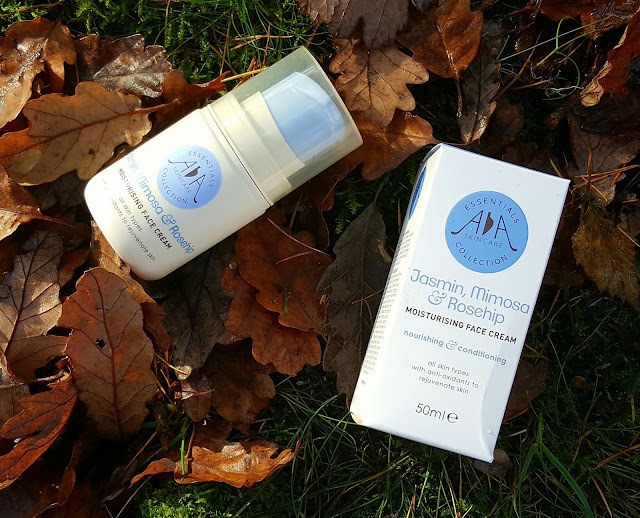 It was difficult to choose just one of their creams but eventually I picked Jasmin, Mimosa & Rosehip Face Cream as I adore rosehip. "Exotic Jasmin and Mimosa essential oils combine with the anti-oxidant properties of Rosehip to keep skin radiant, firm and supple all day." I use pure rosehip oil on my face most nights and eat them in the woods when I am walking the dogs as they are full of antioxidants and delicious so looked forward to trying it as a moisturiser. As I expected, their cream was full of active ingredients: Vitamin rich sweet almond, toning ylang ylang, and calming chamomile are but a few. The packaging is simple and delightful. I love the easy to use pump as I find it makes less mess and overall less waste. The cream itself is very fragrant but once applied to the skin fades quite quickly. At first I was not sure if I liked it but after daily use I have really grown fond of it and look forward to the calming fragrance. I have been using this once or twice a day for almost two weeks now. From the first application my skin felt very soft. Mimosa is a known skin softener so this does not surprise me. Silicone is used in a lot of cheap high street moisturises so I appreciate knowing that my skin has been softened by a plant and not a plastic. My skin also felt firmer but I have not yet noticed any difference in my (far and few) fine lines. I am hoping after a month of continuous use that I'll start to see the difference. One application in the morning was enough to keep my skin hydrated which is very important to me during these cold when my skin gets a little dry. Overall I am very happy with AA Skincare and will continue using their cream daily. At £7.98 for 50ml this is a real bargain for such a high quality product. A perfect stocking filler or a treat for your skin this winter. What essential oils are your favourite? 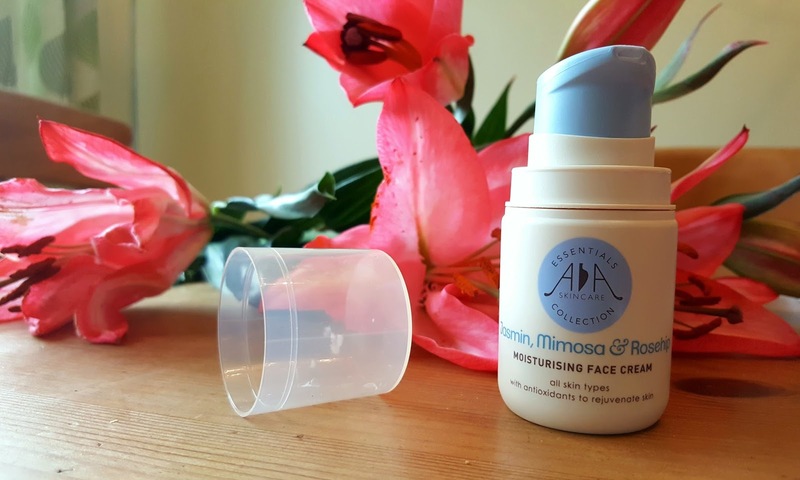 Have you tried AA Skincare before? *PR supplied product. All opinions are my own. The packaging sure seems nice, and your honest review matters a lot. My sister has gone to the UK for two weeks,i know what i want her to get me now! I just hope it suits my overly sensitive skin.